Our home is comfortable, safe, clean and overlooks the mountains. It has an ethnic touch from our journeys. On the top floor you will find an open kitchen and a living room, with a very big fireplace and a back side view on wild fields, with an adjoining dining room. There is a terrace where you can also eat. 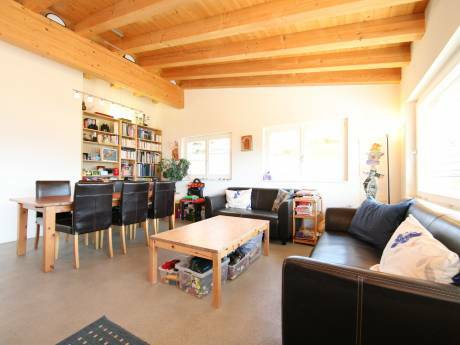 We have three bedrooms with wooden floor, and a balcony, one with one single bed and two others with a double bed. The beds are in a futon style but with an Italian latex material which made them very comfortable. There are two bathrooms and three toilets, one is separate. I mention that there are two cats but they have to sleep outside and some times come in for a caress. We are Gabrielle and Arthur, a small family. I am a teacher (1960) and he is ten years old.We are keen to travel and have been to Marocco, France and Italy before. We are very quiet people and we can assure you that we will take care of our house and properties. Arhur is found of climbing, swimming, playing with children and he is very polite. I like to cook, swim and dive. We -like in Japan or Marocco- always come in without shoes. I would like to come back to Sardinia where I have been many years ago and which I miss very much for the people are the most friendly Islander I had known. I speak fluently Italian e poche parole sarde. A si biri ! 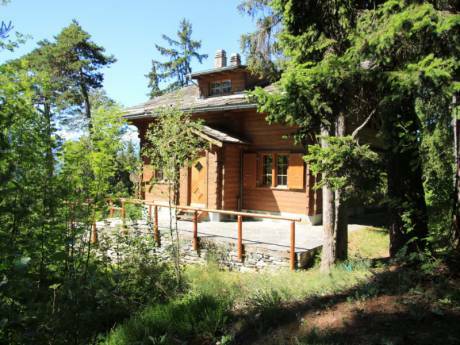 Situated in a picturesque area in Switzerland, not far from the famous Golf of Crans-Montana. 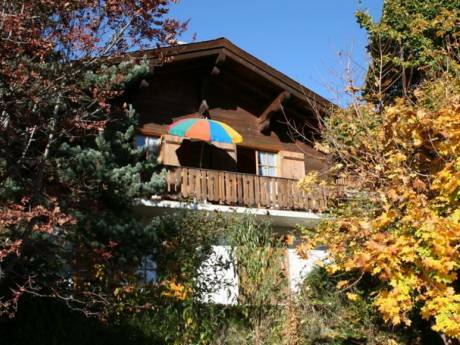 Ideally located as a touring base, it offers easy access to a wide and beautiful ski resort. Nice restaurants, shopping streets, Cafes with music and entertainment in the evening, if you like it, or quiet stay at home if you prefer. Both are possible at the same time. Buses run many times a day so going around is not a problem.